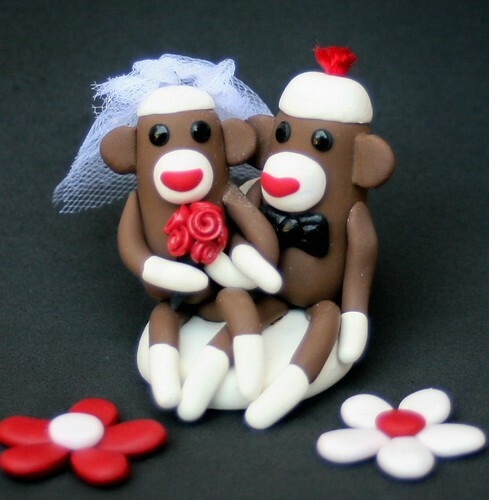 Sock Monkey Wedding Cake Topper Cupcake Size a great wedding cake topper, originally uploaded by SpiritMama. I’ve had several requests for a mini sock monkey topper that could adorn a smaller cake, a cupcake tower, the groom’s cake, or perhaps just as a decoration or keepsake. This is it! It is 2 inches tall.